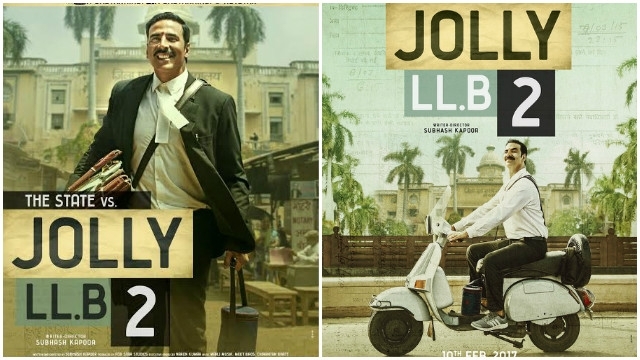 Set in Lucknow, Jolly LLB 2 is the story of the blunt, abrasive and yet oddly compassionate Jagdishwar Mishra, aka Jolly, a small-time, struggling lawyer who has moved from Kanpur to the city of Nawabs to pursue his dream of becoming a big-time lawyer. A hustler by nature, Jolly survives by fighting petty cases and using every tactic under the sun to make a quick buck and earn a decent living. Having spent years in the chaotic and dingy court corridors Jolly is looking out for an opportunity that could turn the tide in his favour and help him achieve his dream of becoming a full-fledged Lawyer with a chamber. When faced with the glimpse of such an opportunity, Jolly jumps at the chance and in the bargain commits an innocent mistake with irreversible consequences that makes him ready for a big fight with the ruthless advocate Mathur.